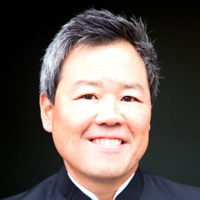 Cellist Eric Kim enjoys a diverse career as recitalist, chamber musician, soloist with orchestra, and teacher. Having made his solo debut at age 15 with the Chicago Symphony Orchestra, he has been a featured soloist with the symphony orchestras of Cincinnati, Denver, and San Diego and has collaborated with conductors Alan Gilbert, Zubin Mehta, Paavo Järvi, Jesus Lopez-Cobos, Lawrence Foster, and others. He served as principal cello of the Cincinnati Symphony from 1989-2009, as well as the San Diego and Denver symphonies. In 2009 Mr. Kim began his appointment as professor music at the Jacobs School of Music, Indiana University. Active as a chamber musician, Mr. Kim performs with such artists as Emanuel Ax, Joshua Bell, Yefim Bronfman, Susan Graham, Lynn Harrell, Stephen Hough, Jaime Laredo, and Menahem Pressler. He participated in tours to Europe, South America, and Israel as a member of the Pinchas Zukerman and Friends chamber ensemble and made chamber music debuts at Carnegie Hall, Boston’s Symphony Hall, and Kennedy Center with Itzhak Perlman, Pinchas Zukerman, and Michael Tree, among others. Mr. Kim regularly performs at the music festivals of Aspen, La Jolla, and Santa Fe and has been heard in recital in New York Chicago, Los Angeles, and San Francisco. Mr. Kim received his Bachelor and Master of Music degrees from the Juilliard School, where he studied with Leonard Rose, Lynn Harrell, and Channing Robbins and was the first recipient of the William Schuman Prize for outstanding leadership and achievement in music.